Looking for birthday party places? 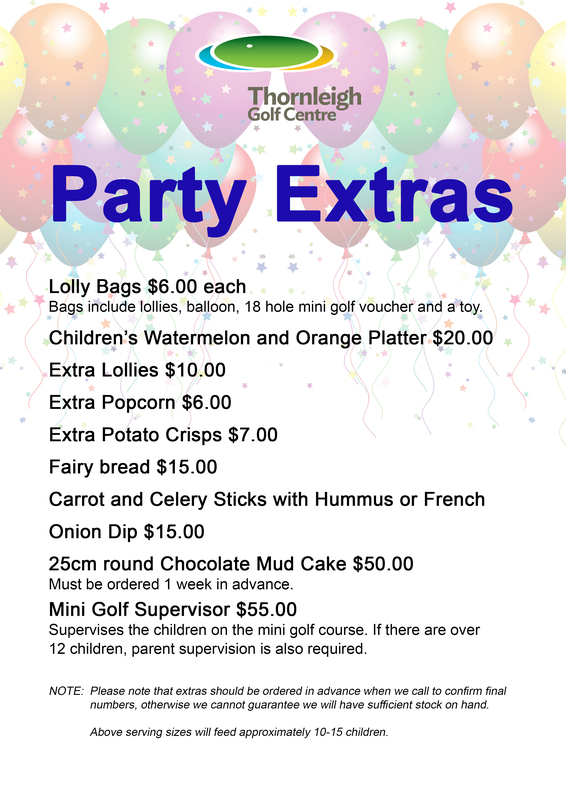 Our mini golf birthday party packages are ideal! Cost of $250 ($25 per person for the first 10), and $22 for each additional person. + You can, of course, separately purchase food and drink from the Bunker Café on the day. NOTE: Morning time slots available Saturday & Sunday only. You are required to provide supervision at all times. To ensure their safety and the safety of others, kids are not permitted to run around the venue at any time. Cost of $340 ($34 per person for the first 10), and $28 for each additional person. Cost of $380 ($38 per person for the first 10), and $33 for each additional child. Your mini golf supervisor will provide an introductory lesson before heading out to play, supervise and guide the children while they play on the courses and make sure everyone is having a fabulous time! 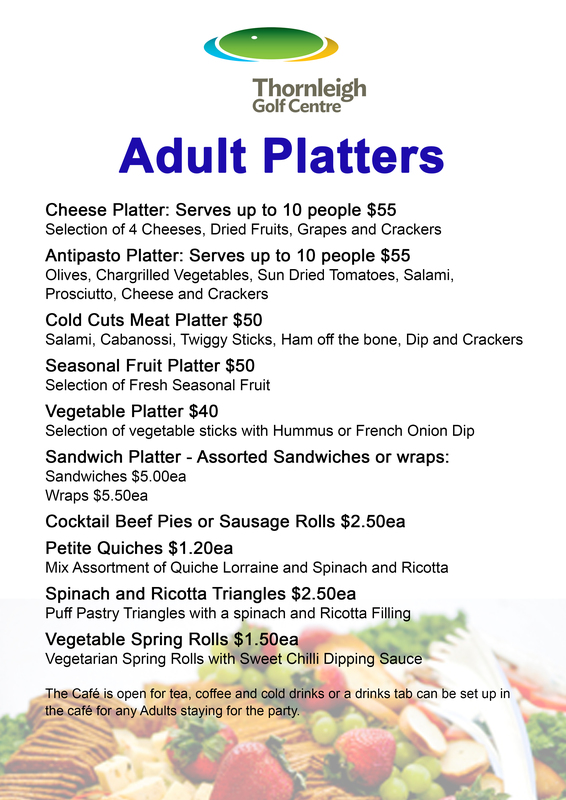 Additional food options available (as listed below) available for the Standard Catered Package, morning bookings only. 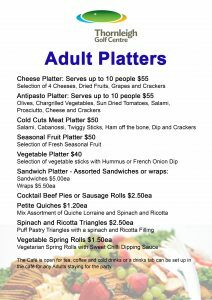 A variety of platters can be ordered for parents or guests attending the party. (Click on the flyer below for options and pricing) Please also advise of any allergies or special requirements. 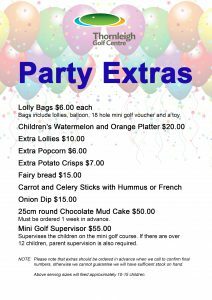 So if you are looking for a Mini Golf Birthday Party packages in Sydney, contact us today.